We live in a society that demands immediacy. We want to look good; we want to sleep better and feel more energized; we want a flat stomach; we want to run a half marathon; we want to lower our cholesterol and we want these things now—actually, yesterday. Too often I work with people who want immediate results without taking a look at the whole picture. If you want to sleep better, you first have to understand what’s keeping you up and compromising your rest in the first place. If you want a flat stomach, you have to do much more than planks and crunches. You have to move your entire body and address your nutrition, which determines your body composition much more than your frequency or type of exercise. So often we want to fix -up our outsides without looking inside. Dressing up our outsides is big business. People spend more money on filling up their closets, on expensive beauty products promising to take years off their age, or on products that claim to give you toned abs with only 10 minutes of use a day. Health and wellness do not often have shortcuts, at least not ones that are effective and sustainable. Wellness is much more effective and sustainable if we address the whole picture rather than try and fix the details. You’ve heard that wellness is about addressing lifestyle; it’s not a diet or just doing a six-week bootcamp. If we all know that we must address the big picture then why are Americans still the most obese, stressed out and ill people in the world, all while spending the most money on health “products” such as those mentioned above? Those people who were honest and willing to answer those questions and start making changes everywhere in their life quickly started seeing results. They realized that before they could get fit, they first had to get well. Wellness is a lifestyle. It’s not a 21-day diet or a six-week boot camp. Temporary programs can be helpful if you use them to as a jump-start into a longer-term goal of changing your overall picture. You have to make space in your life for the things that will keep you healthy and relaxed. And the path of wellness is not linear. I often tell people to focus more on “two steps forward, one step back.” Life will inevitably derail your healthy efforts (e.g. you get a cold; you get a new job and move; you have a baby)— you can adapt and adjust and get back on your bandwagon as soon as possible. 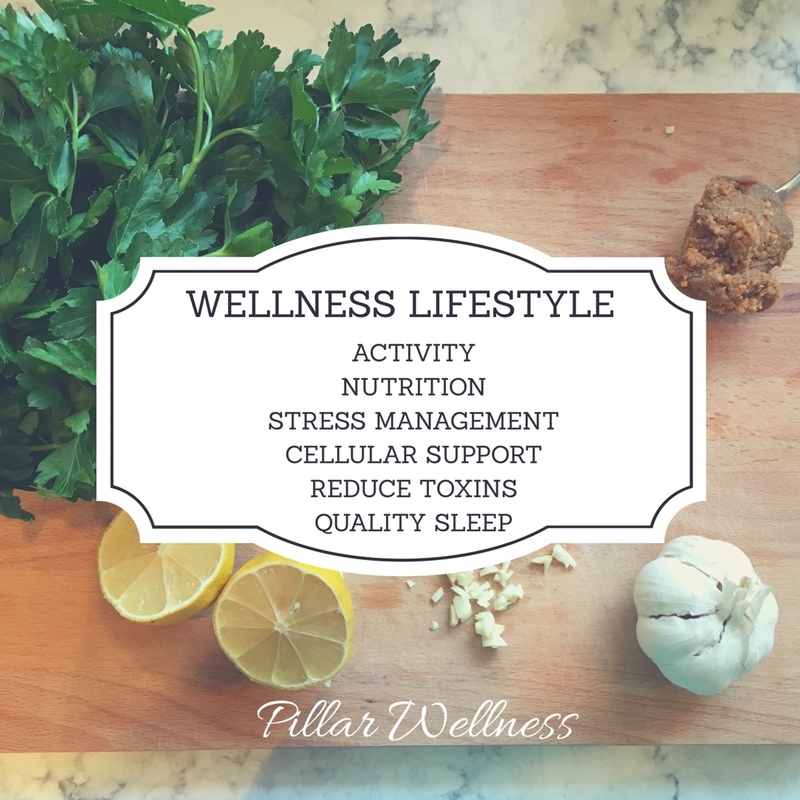 Years ago, my career evolved from working with individuals to focusing more on corporate wellness as a consultant and coach, I created the Five Pillars of Wellness: activity level, nutrition, stress management, mindfulness and support system. By addressing all five areas, you can identify and change behaviors that support your goals in all aspects of your life. 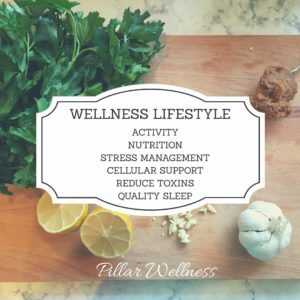 Wellness means balance, and we enjoy an overall state of health when we address all of the pillars rather than just one. In 2014 I was invited to participate in an integrative oncology program that was starting at Hillman Cancer Center. I had the opportunity to work with individuals who had danced with death and were unequivocally ready to make the changes necessary they felt would ensure a healthy lifestyle. It was during those years when I realized just how important it is to address our entire self -our mental, emotional and spiritual self in addition to the often over-emphasized physical self. Often we ignore the areas that we need to address the most. Vulnerability is a not a comfortable feeling for most. People don’t want to talk about the underlying reasons why they can’t seem to make changes. Some people don’t even realize how much they are compromising their health. Denial is so powerful. But we need to address the reasons we’re not well and fit in the first place. It’s not normal to get only a couple hours of sleep a night. If you’re overeating and/or emotionally eating, or if your stress level is making your life unmanageable, then you must work on these issues before any program is going to improve your physical self—your outside. Taking an honest self-inventory and addressing the reality of your obstacles, assets and liabilities is truly the only way to make lasting, significant changes. If you’re interested in learning more about addressing your whole self, I encourage you to attend my free workshop, Awakening Your Personal Power on Friday, January 25 from 5:30-7:30 at Green Heiress in Aspinwall. It’s FREE and a great start to any changes you wish you make this year?! Register here. May you make 2019 the year where you realize who you really are, what you really want and create the path to get there.